Filmmaker, photographer and musician Chris Hershman will teach you the basics for creating music videos—concepts that translate to every facet of filmmaking, no matter your specialty or genre. Chris will explain how to increase the production value of your videos using simple tips and techniques. Learn how to connect the music with your view to become a better storyteller. Chris will discuss choosing the right lens for your subject, lighting and camera settings, and simple editing. Learn invaluable tips about capturing video of musicians playing their instruments. Get inspired, be empowered and make video magic with your camera. Total video length: 43:51 minutes. 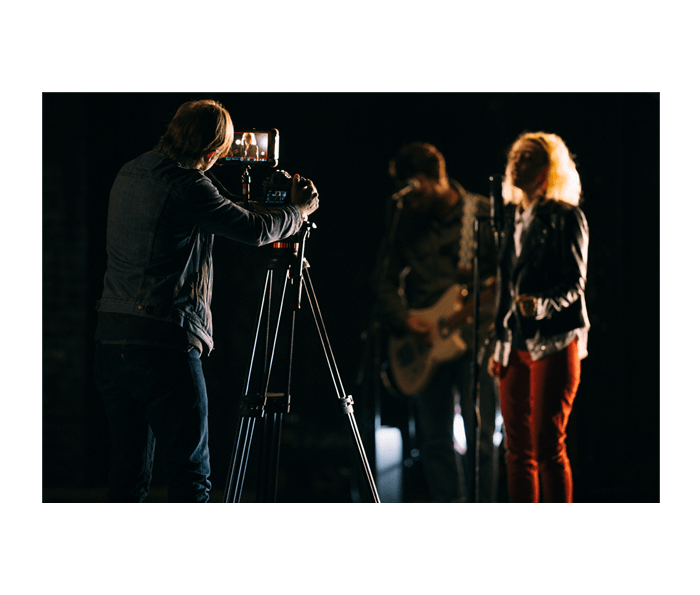 Music videos are the ideal subject matter for beginner videographers because bands are always in need of new content. Chris demonstrates how high quality video can be captured with a one-camera set-up for those on a budget, as well as the added production value of a multi-camera set-up. Video is more accessible than ever with today’s high quality DSLRs. Chris Hershman is a Chicago-based filmmaker, photographer and musician. At a young age he began photographing bands throughout the Midwest, with his work evolving into video capture. Chris draws inspiration from live music, natural lighting and the raw talent around him. He has filmed for the Chicago Music Exchange, and captured bands such as the Alabama Shakes, Brian Blade, Tall Walker, and many other artists. His work has been featured on Rollingstone.com and at the 2012 Grammy Awards ceremony.